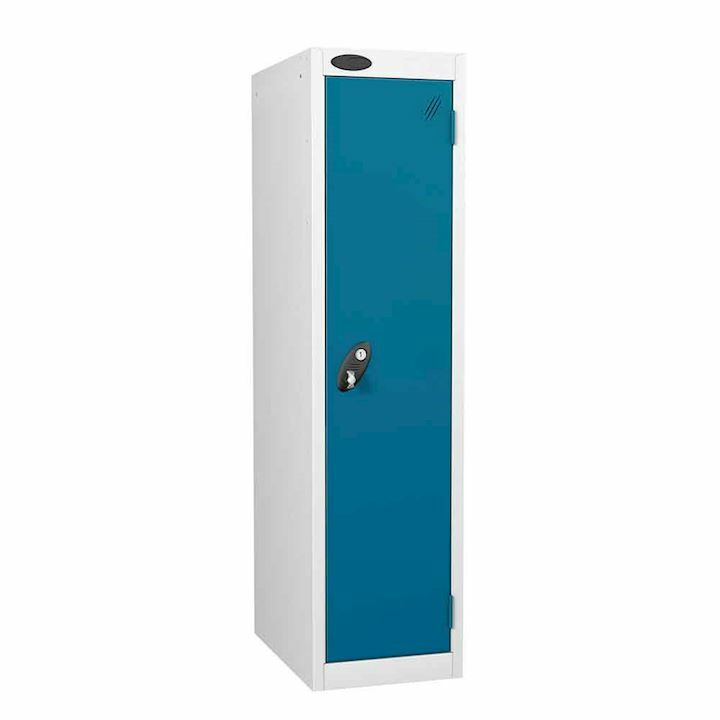 All our golf lockers are made in the UK. 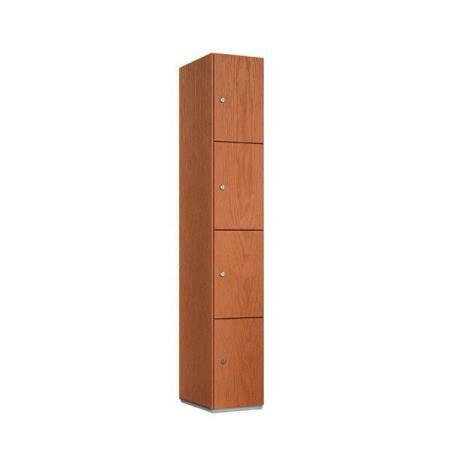 They are the perfect height for storing golf bags and equipment. 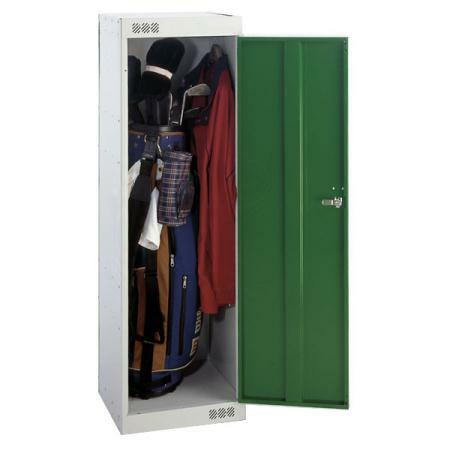 So whether you are looking for golf lockers which are practical yet stylish at the same time, you need look no further. 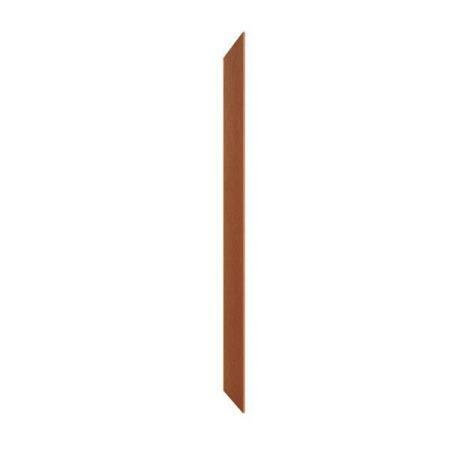 With our quantity discount pricing structure, you are sure to please any golf club committee. 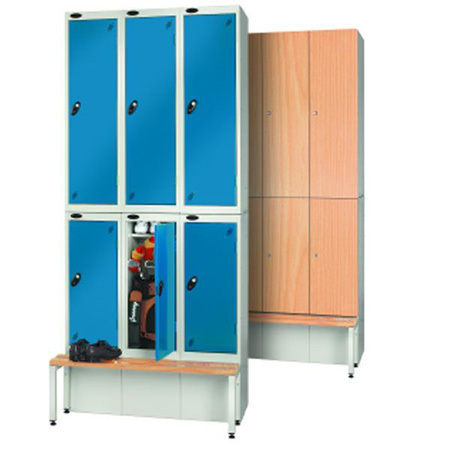 Our low cost golf lockers are specially made in a range of base sizes. Accommodates golf bags, clothing and personal effects. 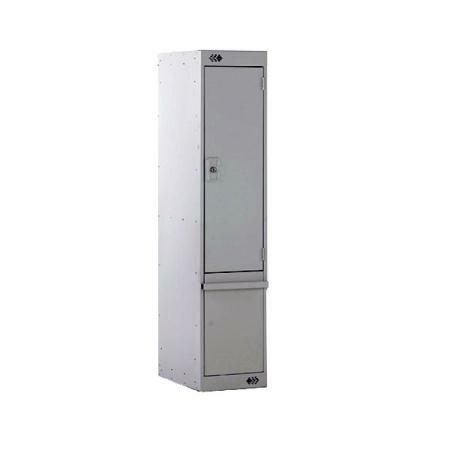 The short door locker is for floor mounting only. Combine with golf bench seating. 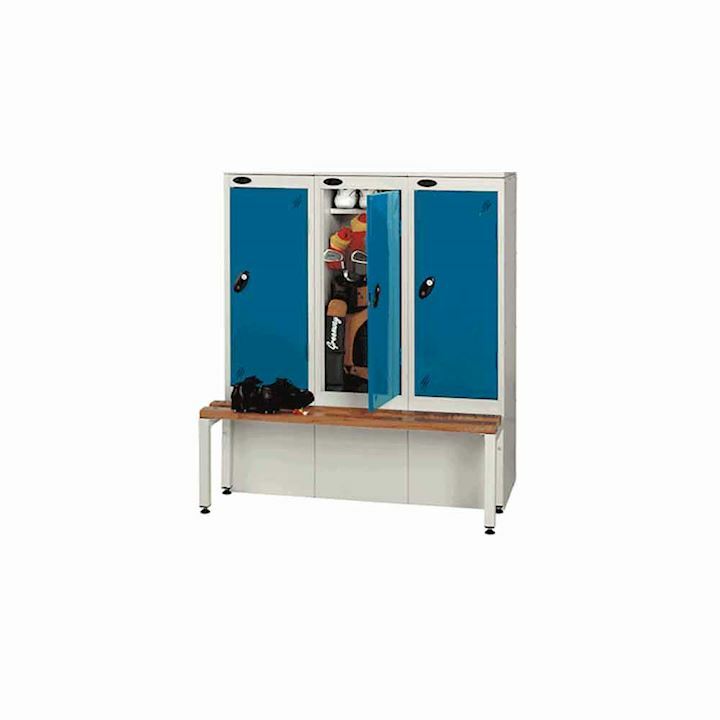 Position bench seats in front of the golf locker without obstructing access. 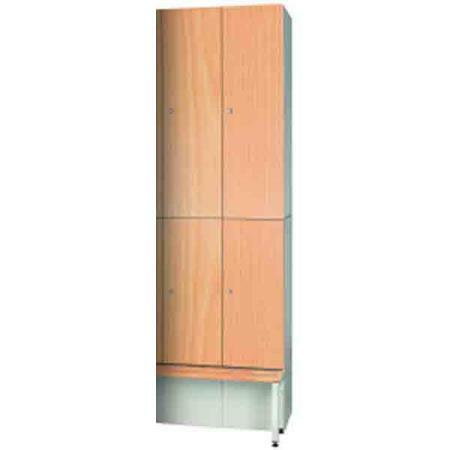 The long door golf locker may also be combined with a stand and seat. 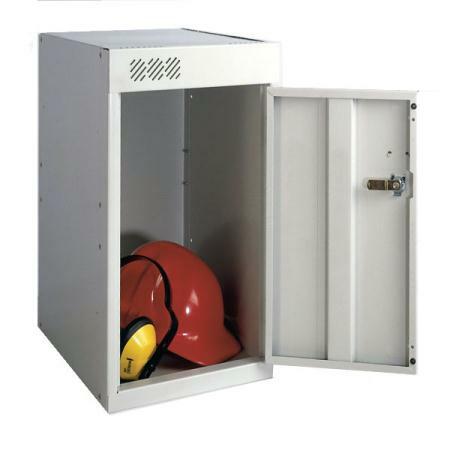 Or you can stack on top of the short door version to make optimum use of available space. 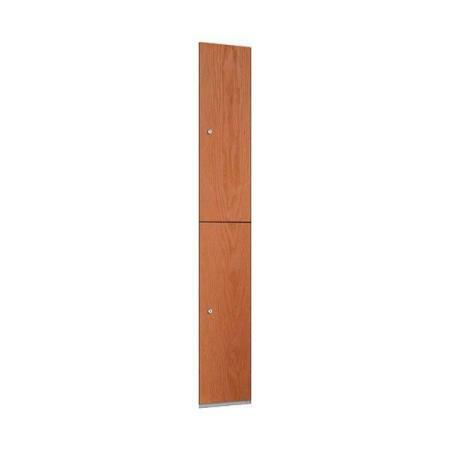 We also offer sloping tops and other cloakroom seating options. 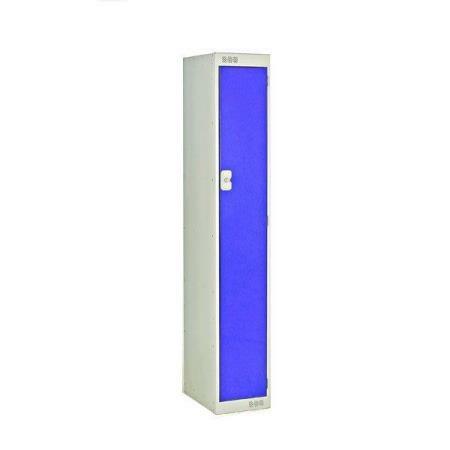 So give us a call regarding your golf club locker requirements. 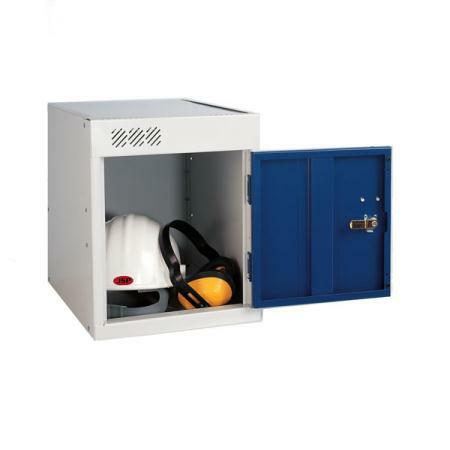 We'd be pleased to help with your golf locker enquiries.